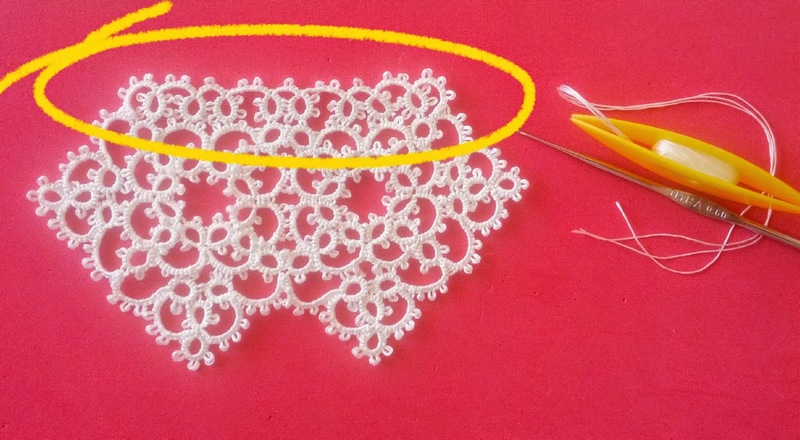 This is the tutorial for the edging around the square motifs. I've taken too much photos, then there will be 2 posts for this tutorial. PART 1: side closer to the neck. 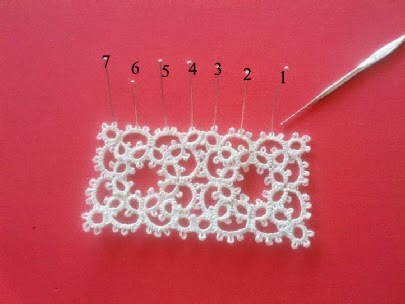 In the next picture I pinned picots that are going to be joined: I started joining from pin number 1. With a shuttle wound CTM, start a ring: 3ds, picot, 3ds, picot, 3ds. Join to the square motif (pin number 1). Continue the ring: 3ds, picot, 3ds, picot, 3ds. 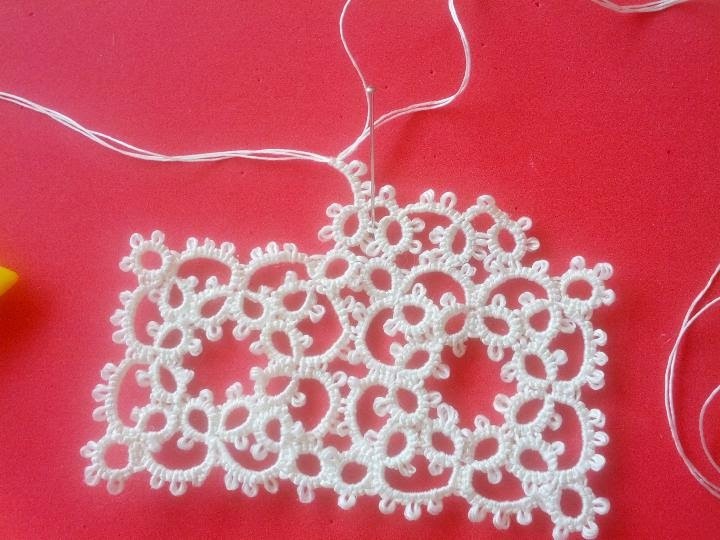 This side, all rings are 3-3-3+3-3-3 (5 picots, considering a join "+" as though a picot). 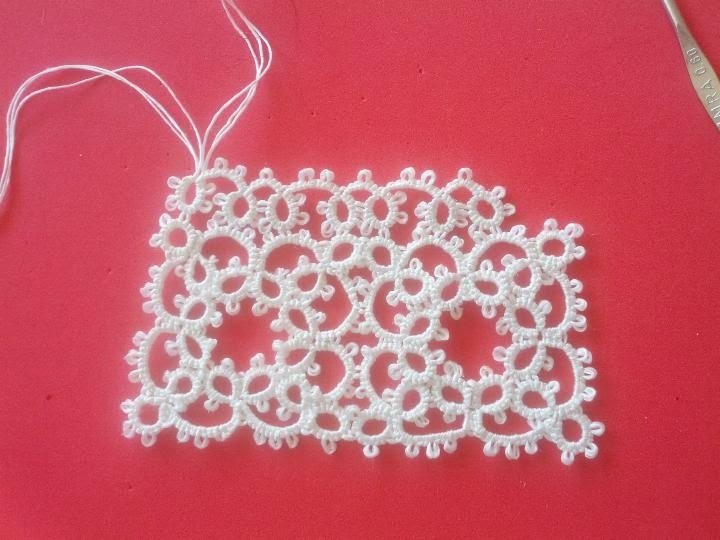 Rings join to square motifs in their central picot. Then they are all repetitions, till the last square, restarting from pic 1. Beautiful Ninetta, thanks for sharing the secrets. I really like what has become of this and the edging really makes me understand what is going on, I struggled with wondering how you were going to get a curve of of this. This is beautiful and delicate too! Good question. I should tat a longer line/sequence of squares... 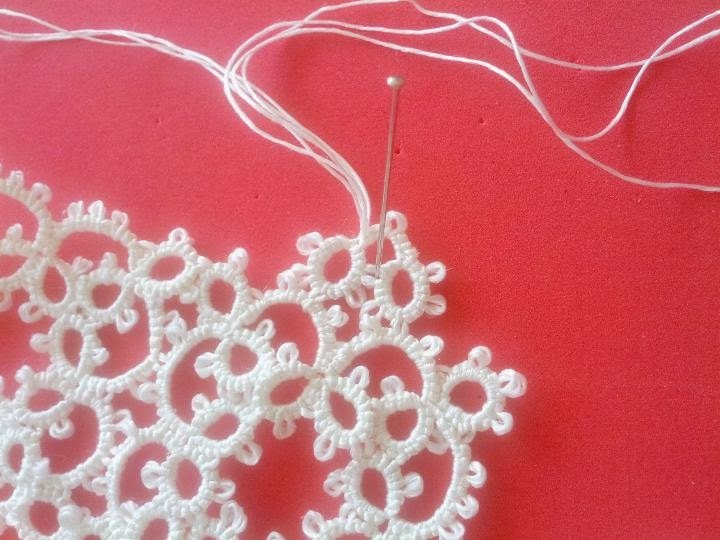 But actually it curves a little and the crochet over it helps too. I can see the curve beginning to form, I like your directions, they are very good! 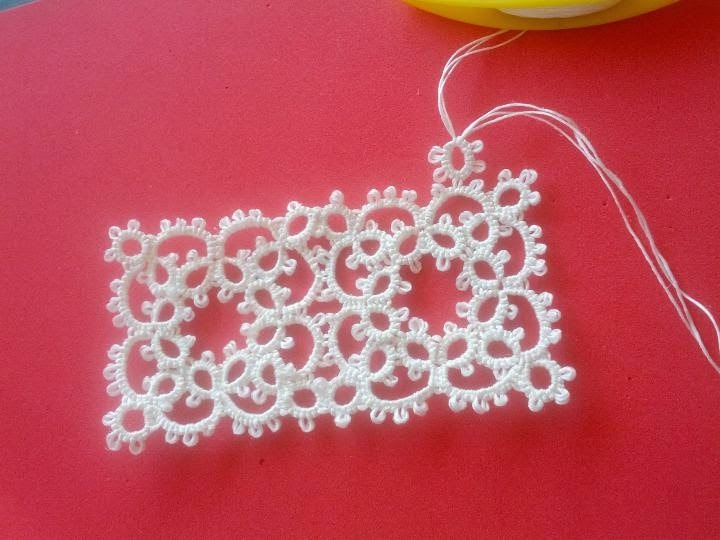 Can I use this pattern to make a bookmark? 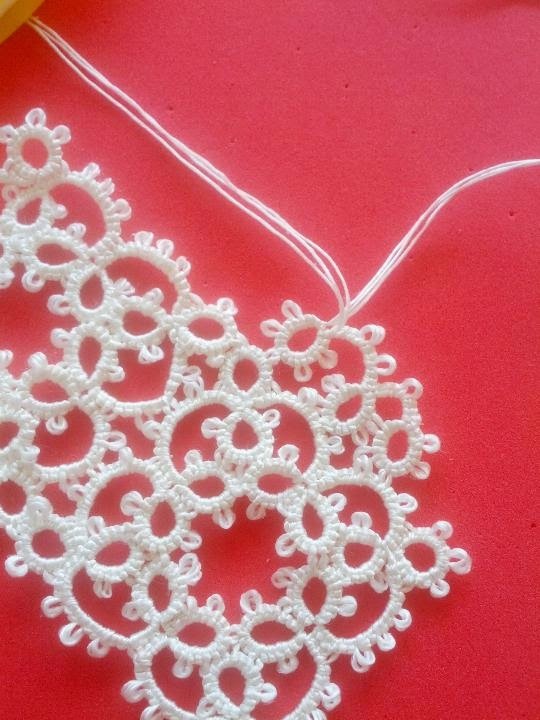 It curves a little, but please try it and I'll be happy to see your tatting.